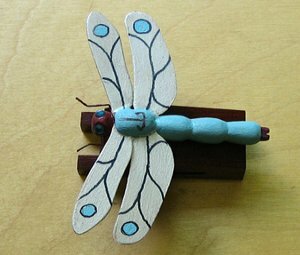 Blocks for delicate fetishes can be carefully designed and created to incorporate a unique idea that enables safe transport and storage. 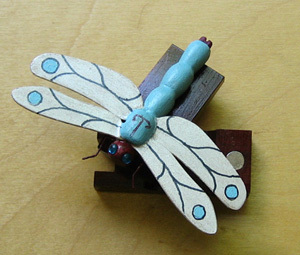 In the example above the Dragonfly block has been created in two halves that are held safely together by four strong magnets. 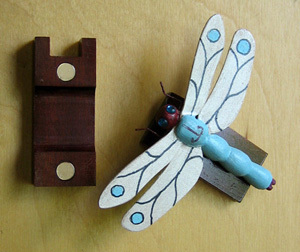 This idea enables the fetish, which is affixed to the top half of the block, to be easily removed and safely stored or transported. The lower half of the block remains firmly attached to the body of the flute by its leather ties so that it can be played with or without the fetish. To replace the fetish back onto the block, simply put it in place and the magnets will do the rest! It is self centering and self aligning. 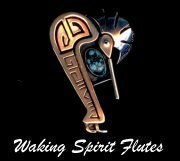 The use of magnets in this way was conceived by Vance Pennington of Waking Spirit Flutes.